The legal marijuana industry is helping to revamp the American job market for candidates eager to make the switch into a business with the potential to bring home significant payouts. 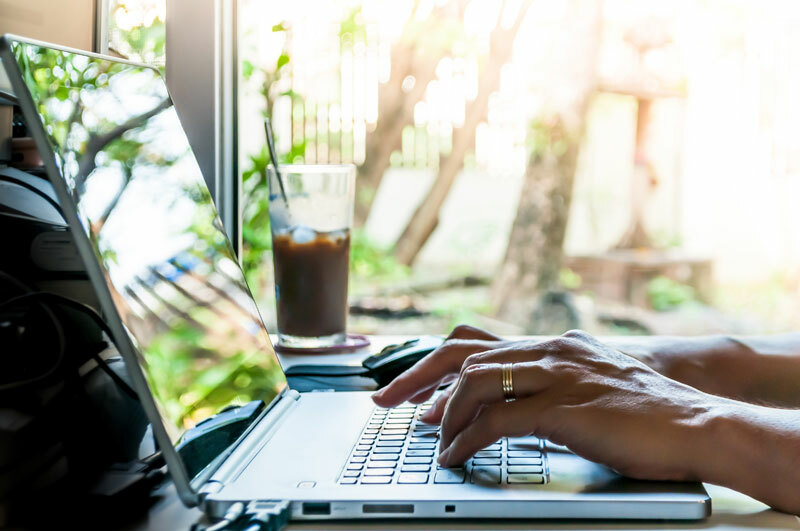 While many individuals are pursuing careers in cannabis cultivation and budtending, others are looking to find marijuana jobs where they can work from home or telecommute. The beauty of this still developing industry is that there are still plenty of seats at the table and pieces of pie to go around for those looking to make a splash in the cannabusiness. One career with many opportunities for cannabis industry success is in the field of web development. The online world is already being infiltrated with industry leading sites like Leafly and Weedmaps, which aggregate cannabis dispensaries across the country, listing most of the country’s pot shops under their unique, organized forums. Aside from the major players, the online world is still lacking the kind of mainstream websites and apps that already dominate other industries. For instance, recreational cannabis delivery is still outlawed across the country, except in specific regions who have embraced cannabis culture like Portland, Oregon. As cannabis culture continues to be destigmatized as a result of comprehensive legalization efforts, now is the time to assess the desires of cannabis consumers in order to develop resources that will fill a void in their experience and offer developers an opportunity to make significant incomes. Part and parcel with the process of web development are bloggers and content creators. Bloggers create informative articles in order to increase the credibility of a site, as well as contribute to its traffic. Often times, bloggers are hired to write articles for SEO or Search Engine Optimization. SEO helps blogs and websites stand out from the pack by using creative, thorough content, consistent keywords and internal/external links to boost the likelihood of appearing at the top of search engine results. One thing the legal weed industry still lacks is credibility, making it the job of the writer to produce content that is shareable, well-researched and written. Back in 2014, the Denver Post became the first major newspaper to hire a cannabis strain critic, followed shortly after by The Oregonian. As the cultural stock of cannabis increases, more writing positions for cannabis enthusiasts have appeared to diversify the content of generic newspapers, as well as cannabis-centric publications like High Times and Culture Magazine. For artists and designers, there’s never been a better time to use your creative skills to score a pretty penny out of the cannabis industry. With a greater need for informational resources on cannabis products, legislation and history, infographics and animations are in high demand by a wide variety of cannabusinesses. Companies like Online Marijuana Design employ individuals to grow the brands of a wide variety of marijuana platforms that need everything from logos to motion graphics. Graphic designers maintain a kush spot in weed industry, as their services will likely never be out of demand. Artists also benefit from the cannabis industry with increasing demand for cannabis-themed apparel and merchandise. Recently, high fashion designer Alexander Wang used the cannabis plant as inspiration for his 2016 fall ready-to-wear campaign. As the cannabis industry develops more artistic clout, publications are coming out of the woodwork, infusing cannabis news and culture with music, film and theatre. Rather than relegating cannabis to its own fettered category, innovators are finding avenues that appeal to the interest of artists, athletes and stoner, all under one forum. Cannabis publications act as a great way to connect all the cultural dots and continue to mainstream cannabis as a medically viable, safe adult substance. There are few things the cannabusiness needs more right now than marketing. As the booming industry continues to expand, businesses like dispensaries are looking to compete against one another and require help from advertising agencies. While dispensary budtenders and receptionists often carry out some of the more basic social media advertising, such as updating Facebook and Instagram profiles, professional advertisers can help to bring a business out of the shadows and into the big leagues. Marketing firms are uniquely skilled in recognizing what specific elements can make a business successful and use the connections at their disposal to reach a wider audience. This includes creating press releases, email campaigns and other business literature that would require undue time and energy on behalf of dispensary employers. A growing legion of consulting firms and independent consultants have turned their heads toward the legal cannabusiness, in hopes to leverage the novelty of the industry by helping businesses make informed decisions about licensing applications, selection of POS systems and much more. Consultants are also helpful in offering staffing and job training resources to bring employees up to speed on the convoluted regulations entrenching state and municipal cannabis legislation. For experts in the cannabis field, working from home as an instructor for cannabis job training resources can be a great way to make money and help teach a new generation of marijuana advocates. Sites like THC University offer exclusively online certification courses that give students across the world the opportunity to gain some credibility in the weed world and have a better chance of finding a job. By working as an instructor, you can create classes and put coursework together all from home and then distribute this information to students via the web. THCU offers courses in everything from budtender certifications to edibles creation. This career path definitely requires advanced training and years of experience, but it comes with a great financial outlook. Many work from home jobs involve being an independent contractor or freelancer. This means that workers are not employees of companies, but rather, are contracted out for specific jobs. Freelance marijuana jobs are ideal for people looking to get out of the rat race and work for themselves. It can be difficult to go to work day after day working for the same boss — now, the marijuana industry might be your saving grace for kissing that job goodbye and starting a new career for yourself from home. The cannabis industry is uniquely suited for work from home careers. The business itself is fascinating because it is one of the newest, biggest and most controversial industries in the country.